While the 2014 changes to health coverage have improved employees’ abilities to obtain treatment for mental illness (including preexisting conditions), insurance is still NOT affordable for many. In addition, many experience additional financial stress after taking time off from work; decreasing their hours in order to manage their illness; or being forced to find a new position at a lower salary than previously earned…just to keep a roof over their heads. Given the higher fees for monthly medication and psychiatric copays (if their prescriptions are covered at all), these employees may be forced to stop taking medication…once again, leading to yet another job loss. The option to downsize by moving to a less expensive home is relatively impossible because 1. they will not meet the income requirements to obtain a landlord’s approval, 2. they will need additional security funds, and 3. the cost of moving may deplete any remaining savings. They are stuck…with no good choices, except to eliminate the “choices” which favor mental health (medication, therapy, gym memberships, quality meals, and transportation fees necessary to attend “free” social activities, which may include support groups, religious services and events, volunteer work, or simply visiting relatives. 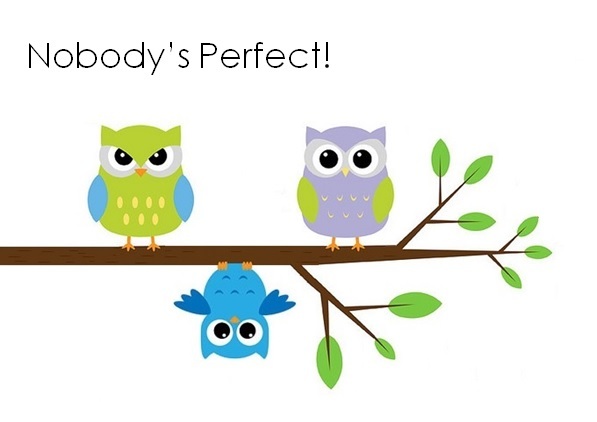 In addition, when individuals change jobs or their employer modifies their health plan, they must start over with a new therapists…creating the added stress of finding someone who matches their personality, philosophy, and scheduling needs. For those who prefer to focus on the present, they must painfully revisit the past (AGAIN) in order to educate each new therapist about their (often long) history of symptoms, diagnosis, experience, and treatment. While supported employment may allow individuals to maintain Medicaid or Medicare coverage for nine months, they can typically only join an employer health plan after a trial period of up to 90 days, or at a later date during open enrollment. So…those new hires, who choose to benefit from government coverage until their nine month completion date, may have to pay for health insurance until the next open enrollment period. Otherwise, they risk a gap in coverage, which could be problematic, if they require a controlled medication, which requires monthly refills. If they are receiving Medicaid (with less than two years on SSDI), they will have to buy in to the program, depending on their new income, which can result in reduced take home pay, often equating to less than they received on SSDI. If employment is only part time, or their employer will not provide coverage, individuals will also be responsible for continued premiums. While Medicare provides reasonably good care for seniors; others are not so fortunate. In order to access coverage, a person with a disability must wait two years after qualifying for Social Security Disability Insurance (SSDI) to become eligible for Medicare. Bureaucratic delays often stretch that waiting period to 29 months or longer. Once those with disabilities qualify for Medicare, further financial difficulties are encountered, because the program requires high co-payments. Unlike most seniors, these individuals are not likely to have, nor can they afford, supplemental coverage to make up the difference. With low incomes, high medical expenses, and a lack of supplemental coverage; those who do access Medicare, and ineligible for supplemental Medicaid, are likely to have a great deal of debt…or to forgo treatment. In his new book, Medicare’s Victims: How the U.S. Government’s Largest Health Care Program Harms Patients and Impairs Physicians, explains how Medicare also harms patients by subjecting them variously to either under-treatment or over-treatment. Patients needing therapy, for example, are frequently denied coverage because the therapy isn’t making them better. Medicare will only pay for therapy that can be shown to improve a patient’s health; therapy that merely helps maintain or slow the decline in health isn’t ­covered. And, Medicare “doesn’t pay providers to coordinate care,” even though doing so generally helps improve patient outcomes. So…for those returning to work, even if they continue to participate in Medicare; they are unlikely to receive psychological support. And, those who had previously received therapy through Medicaid; will abruptly lose that coverage as well. The National Institute of Mental Health (NIMH) focuses its research on the science of mental disorders. On May 8, 2015, the Director of NIMH, Dr. Thomas Insel, addressed the fact that the Affordable Care Act has eliminated the exclusion of those with preexisting conditions from obtaining insurance coverage, and with the labeling of mental disorder treatment as an “essential benefit,” we really see for the first time in this country true parity (coverage for mental disorders with the expectation that it will be on a par with other medical problems). However, in the U.S. we still face the challenge of either access to care or high quality care. This is a situation we would probably not tolerate in the treatment of other serious diseases. The range of difficulties for those with a disabling illness, are actually MORE disabling than other illnesses. And, with our “non-system,” there is no safety net in place, which is not the case in other countries. Other countries have better systems in place. The group of neuropsychiatric disorders (brain disorders) are more disabling, and more costly than other medical issues. We are not doing a good job of providing the access or quality care that people need. We focus so much on 17,000 homicides per year in the U.S., but there are 41,000 suicides (one about every 13 minutes) per year, and over 90% of those deaths are related to having a mental illness. Mental illness is highly fatal, and there are actually more suicides than there are deaths from breast cancer or prostate cancer. We need better care. Numerous studies document the remarkable benefits of exercise in treating and preventing mental illness. Researchers have demonstrated that exercise changes the brain; increasing the activity of chemicals, such as dopamine and serotonin, as well as an important growth hormone, BDNF, critical to the functioning of the adult brain. The protein is quite active in the hippocampus region (responsible for movement, inhibition, memory); which impacts epilepsy, schizophrenia, Alzheimer’s disease, mood, attention, and learning disorders. The majority of health insurance providers have responded to the research by including subsidies for gym membership within their benefit programs. So why is it, that neither Medicaid nor Medicare has incorporated fitness benefits, or negotiated discount packages with local fitness facilities, despite the knowledge that exercise is one of the most cost effective investments in the treatment and prevention of mental illness. 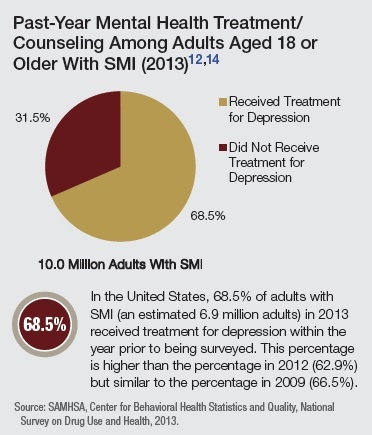 A new report from the Substance Abuse and Mental Health Services Administration (SAMHSA) reveals important trends in Americans’ behavioral health. The “National Behavioral Health Barometer,” provides data about behavioral healthcare including rates of serious mental illness, suicidal thoughts, substance use, underage drinking, and the percentages of those who seek treatment for these disorders at the national level, and for each of the 50 states and the District of Columbia. 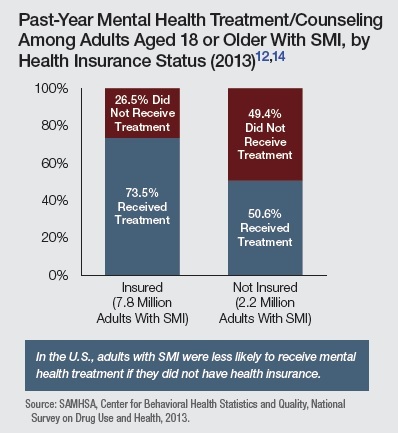 the percentage of individual’s who received mental health treatment was substantially less for those who were not insured (and were likely to need it the most).